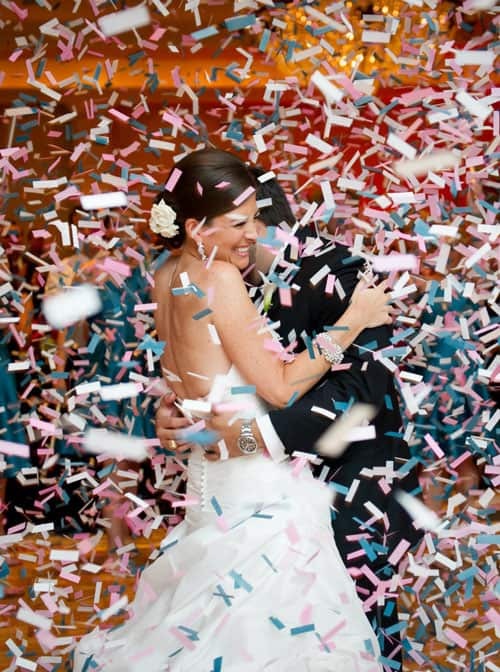 Create a spectacular effect with our Pyrotechnics Confetti Super Blasters. We use the most powerful Confetti and Streamer blasters available which are designed for stage productions, arenas, award nights, stadium and larger outdoor events. Big and impressive, these Co2 powered blasters deliver vast amounts of confetti or streamers very quickly and with a spectacular noise and a cold Co2 blast. Our Super Blasters can throughput up to 10-15 kilos of product per minute with up to a 25m throw, however, can be run at lower pressures when quite such a big effect is not required. Celebrate like the champions and let us fill the air with spectacular effect as our machine gently rains confetti like glittering snow. Metallic is our prestige range of Confetti it is perfect during the day or under bright lights for a special reflective look. The shiny material looks very classy and elegant as it reflects light and glimmers as it floats in the air. Tissue confetti is very lightweight, it floats high and is slow falling to the ground. This effect is constructed from 2″ x .75″ pieces of thin tissue paper and is available in many colours. Streamers are a popular choice among many venues because they are quick and easy to clean up, making little mess. Streamers typically shoot further than confetti- particularly important when you want the effects to reach into the audience or crowd. Our experienced pyrotechnics team will deliver a spectacular and memorable confetti blaster display that will ensure the success of any event.